Questions about teaching and learning, about the nature of knowledge, and about human being are unavoidable in education, and they surface in Wittgenstein’s work in multiple ways. This conference will seek to examine both the significance of these themes in his work and the bearing his thoughts have on education, understood not only in institutional terms but as a pervasive feature of human life. Two recent works may help to set the context for the conference. Michael Peters and Jeff Stickney’s substantial 2017 edited collection, A Companion to Wittgenstein on Education: Pedagogical Investigations (www.springer.com/gp/book/9789811031342), provides a substantial sample of recent work in the field. Paul Standish’s 2017 BWS conference paper has been published in Philosophical Investigations under the title “Wittgenstein’s Impact on the Philosophy of Education” (onlinelibrary.wiley.com/doi/abs/10.1111/phin.12198). Education, learning, and training are all central themes in Wittgenstein’s approach to philosophical questions. Learning rules, teaching mathematical sequences, and language acquisition, are all examples used throughout Wittgenstein’s work to get to grips with philosophical problems. It perhaps shouldn’t be surprising, then, that the 2018 BWS conference on Wittgenstein and Education drew together academics working on Wittgenstein in a huge breadth of contexts; including the philosophy of technology, the philosophy of psychology, and moral philosophy. The diversity of this topic resulted in a vibrant atmosphere throughout the conference. I felt that the conference highlighted the need for discussions across philosophical disciplines, including those engaged in understanding Wittgenstein’s texts, and those exploring the implications of Wittgenstein’s thought in other fields. Not only were there many interesting talks and discussions on how education and learning can shed light on philosophical issues, but also on how Wittgenstein’s ideas can shed light on the aims and practices of education in a variety of contexts. And, (as is often the case), the conversations had between and after speaker sessions emphasised even further how much discussion is to be had between these different fields and perspectives. The first keynote lecture was given by Michael Luntley on The Fragility of Learning. This talk reflected on the use of examples in Wittgenstein’s pedagogical/philosophical method. On this account, giving examples is not merely an “indirect” way of pointing towards the “correct use” of terms, but rather this use forms the meaning of terms in the first place. This talk was followed by a lecture given by Richard Smith, Towards a Wittgensteinian Social Science, which discussed the implications of Wittgenstein’s philosophy for the social sciences, in particular for dealing with widespread attitudes of scientism. On the second day we heard from Juliet Floyd on Wittgenstein: Teaching and Learning with Turing, which explored some of the connections between Turing and Wittgenstein’s approaches to mathematics. In contrast to Ray Monk, who presents Wittgenstein and Turing as mutually alien to each other, Floyd argued that the two share important foundational ideas about the nature of logic. After this, Gordon Bearn gave a talk on Wittgenstein: Spiritual Practices. This talk looked at transformative, spiritual experiences and activities through the lens of Wittgenstein and Cavell’s work on aspect perception. On the third and final day, Jeff Stickney gave a lecture on Wittgenstein’s Language-Games of Education: Reading higher and lower registers of “learning” in On Certainty. Stickney looked at the way educational examples are used by Wittgenstein to reach conceptual understanding, and also offered some reflections on how we understand teaching, advertising, conditioning, preaching, and training as different concepts. The conference closed with a lecture from Alice Crary on the controversial topic of Race and Animals: Wittgensteinian Reflections on a Contested Comparison. This talk used Wittgenstein as a lens for looking at some of the problems and illuminations to be found in comparisons between moral atrocities, like the holocaust, and the slaughter of animals. Crary offered a radical rejection of the view that humans are inherently “higher” beings than other animals in terms of moral importance. In addition to these keynote lectures, the conference also had a number of parallel sessions and symposia throughout the event. This is the first time the BWS conference has had an open call for abstracts for their annual conference. This meant there was a great mixture of graduate students, academics, and researchers presenting their work on Wittgensteinian themes. I think it was apt for the theme of this conference that such a variety of philosophers had the opportunity to present and discuss their work and to collaborate with each other. The topics of the parallel sessions included: the epistemology of education, ethics education, Wittgenstein’s naturalism, and the philosophy of film. The three days of the conference were energetic, busy, and deeply engaging. This was well-balanced with the friendly and welcoming attitude I’ve always found with the community of the BWS. I think I speak for many of the participants when I say that I was left buzzing with ideas and hopes for peoples’ future work in this area. 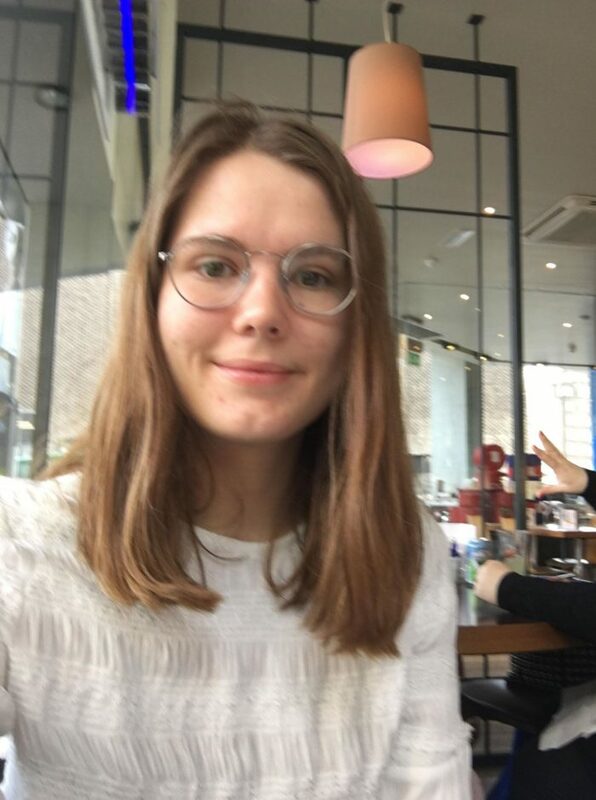 Sasha Lawson-Frost is a graduate student at Oxford and organises the London Wittgenstein Reading Group. The Conference Programme is available as a pdf here. The abstracts of parallel papers are available here. 2.2b Antonio Scarafone (University of Reading) – What do we learn when we learn the meaning of words? 4.1b Britt Harrison (University of York) – Film: education for grownups? The conference fees are: £125.00 (full cost) and £65.00 (for full-time students). For those unable to attend the whole conference, there is also a day-rate of £65.00. Tea and coffee will be provided throughout, and there will be a wine reception on Sunday 29 July. Lunches will not be provided, but the area has a wide range of restaurants and cafes within easy reach. The site is now open for booking here. On Monday 30 July, a conference dinner will take place at Antalya Restaurant (www.antalyarestaurant.co.uk/). This will be a set meal, including main dish choices and vegetarian options throughout. The cost for this will be £30.00 (to include drinks). Places are limited so please book early to avoid disappointment. No accommodation is provided but a preferential rate has been negotiated at the Imperial Hotel, Russell Square. The rooms will at the following rate: single £111.00. Rates are per room per night including English breakfast and VAT. These rates are being held until 15 June 2018. To make a booking, please contact the Central reservation office: 44+(0)207-278-7871, e-mail: ku.oc1556050036.slet1556050036ohlai1556050036repmi1556050036@ofni1556050036, quoting the reference “UCL – IOE”. Full credit card details will be required at the time of booking, i.e. card number, expiry date and security code. Cancellation policy is 24 hours prior to 11am on the day of arrival. “No shows”: one night’s charge will apply. Alternatively, reservations can be made directly via the website www.imperialhotels.co.uk, where any special and sometimes better offers are available. The rates quoted there at present are £10.00 per room per night cheaper. UCL Institute of Education is in the heart of Bloomsbury, near Russell Square.